According to the encyclopedic @SPLstats Saturday will be the 87th time Dundee United have hosted Aberdeen in a league game at Tannadice. In the previous 86 matches there have been 29 home wins, 28 away win and 29 draws. They've been plotting different routes through the SPL this season though. United started with 3-0 wins over Hibs and Dundee. Then they flatlined. 0-0 draws with Ross County and St Johnstone have been joined by a 3-1 defeat at Kilmarnock, a 3-0 defeat at home to Hearts and a 4-0 defeat at Inverness. Not scoring and conceding too many. A nasty combination. It's hardly critical. After losing out to the double whammy of Celtic's American jaunt and Motherwell's creaky power supply they have two - tough - games in hand and are only seven points off second place. But few would have tipped them to be second bottom of the league in a season where many expected them to lead the chasing pack in their pursuit of Celtic. Injuries haven't helped. It's been United's misfortune to have held on to key players in the summer only to lose some of them in the early part of the season. Few SPL clubs can sustain their form with big names missing from their starting XI. The real surprise is how poor a job United have made of papering over the cracks. With their game before the international break postponed they should have had time to regroup and recover from the run of bad results. Unfortunately they'll have had to do that without Peter Houston, absent on Scotland duty. Not much of a break from bleak results that, although he might soon have more time to spend with his club. If Houston's United have weakened over the opening weeks of the season, Craig Brown's Aberdeen have only got stronger. Early on it looked as though Brown had assembled a sound squad but not quite worked out how to make them click. But they are undefeated since their opening day loss to Celtic, and while four home draws looks worryingly similar to seasons past wins against Hibs at home and Kilmarnock away have lifted them to third in the table. Brown, whose past achievements as Scotland manager take on greater significance with every flunked qualifying campaign, has bought wisely and looks to be blending experience and youth quite well. There might be occassions when Aberdeen don't set the pulse racing - Craig's too old to cope with 3-3 draws with Motherwell each week - but they might just prove to be one of the more consistently effective sides this SPL season. So tomorrow looks like being a historically tight result with recent form favouring the visitors and the bookies favouring the home side. The draw is 12/5, an Aberdeen win is 12/5 while a United victory is 11/10. Strikes me this is one of those games that could either be an absolute belter or the dampest of 0-0 squibs (7/1). Aberdeen have won the last two head-to-heads though and carried the better form into international week. Given United's scoring issues I'm tempted by a 2-0 Aberdeen win at 14/1 but there's a tendency for both sides to score in these games so 2-1 Aberdeen at 10/1 it is. 13/2 for a half time draw/full time Aberdeen combo might also have a certain allure. Did we think back in 1998 that more than a decade on Craig Brown would still be the last Scottish manager to take the national team to a major championship? Did we heck as like. So I'll back the master to pile on more misery for the apprentice's apprentice. I might take the half time draw/full time draw at 4/1 just in case though. What do Scottish football fans want? Ask 100 people. Get 99 different answers. We're not short of opinions. Events this summer showed that there are times when clubs are forced to listen. Too often though clubs feel able to ignore the paying punter. Partly that's the arrogance of a game that wants to run itself as a business while ignoring its "customers." And partly it's because the channels for constructive communication between fans and clubs have simply not existed. It's too easy for chairmen and chief executives to write off forums and social media sites as a playground for the overly opinionated or the crazily disaffected. They latch on to the most extreme views, claim the tail is wagging the dog and give themselves an excuse to ignore anything that might be considered constructive. And there is a lot of constructive opinion out there. And those fans with something constructive to say might be about to find a collective voice with the launch of new initiative from Supporters Direct Scotland. A 'Fans Parliament' is to be launched across Scotland giving fans of every club a vehicle to air their views - and have those views collected and reported to Scottish football's overly complicated governing bodies and the Scottish Government. Launched at the Scottish Parliament yesterday the initiative builds on the recommendations made in the McLeish Report that fans were recognised as key stakeholders in the game with a role to play in shaping the future of Scottish football. "It has been a unique year for football fans in Scotland, on a local as well as national basis, with ordinary fans’ voices being heard loud and clear in a way they’ve never been heard, or listened to, before. Now there is a drive and determination to ensure that the momentum that was gained isn’t lost. 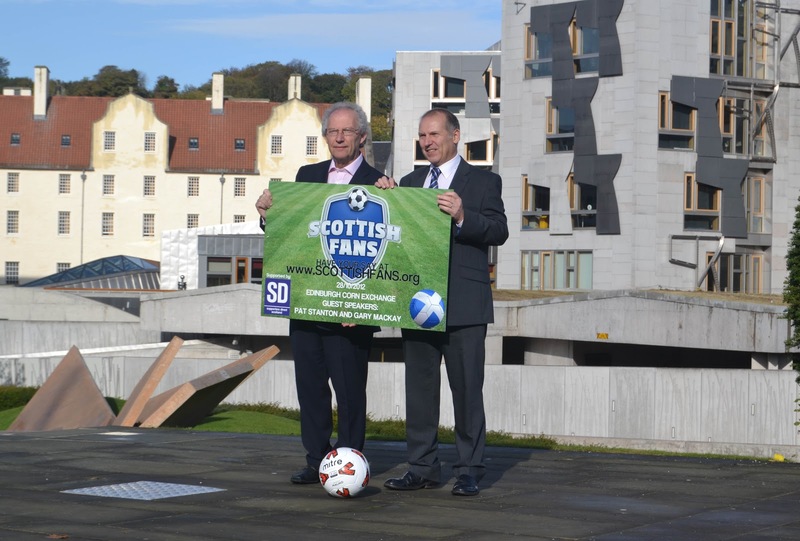 "The new 'Fans Parliament' initiative will provide a platform for fans to continue the debate in the knowledge that it will be reported back to the Scottish Government and to the organisations running football in Scotland." Fans will be encouraged to get involved through a series of roadshows, at matches, using social media and at www.scottishfans.org. "Fans voices are being listened to more than ever before and we know that in recent months there has been an unprecedented debate about the game in Scotland. "Through Supporters Direct Scotland fans have a direct route into government and policy makers and we want the new ‘Fans Parliament’ initiative to be the conduit for the debate and discussion between fans across the country and, in effect, be the voice of Scottish football fans. "As an organisation funded by the Scottish Government we have the ability to present supporters views directly to them as well as to the SPL, SFL and the SFA. Talks have already started at Hampden Park looking at how we formalise this relationship with the governing bodies." An interesting scheme this. Football fans are not a homogeneous bunch. I've probably got no more in common with the chap who sits next to me at Easter Road than a shared love of Hibs and some subconscious masochism. Our views on the future of our club probably diverge. Our views on the future of Scottish football almost certainly do. Football fans don't necessarily do consensus. So surveying fans, pulling together those opinions and turning those findings into something positive and focused enough to influence the SFA, SPL and SFL is likely to be a mammoth undertaking. Not an impossible undertaking though. And a very worthwhile one. I've met with some of the people involved and I can vouch for their enthusiasm in seeing this through. And given that most of us should agree that a sustainable future for Scottish football is an absolute must, there is common ground to build on. There's also a simple message for the men stalking the corridors of power at Hampden and ruling clubs like their own private dominions. 140 years of autocracy has got us where we are today. The first roadshow will be held in Edinburgh on 28th October with Pat Stanton and Gary Mackay in attendance. Register by email: roadshows@supporters-direct.org with your name and date of birth. An unusual consensus has settled over Scottish football. The disastrous start to the 2014 World Cup qualifying campaign has made minds up: Craig Levein can't continue as Scotland manager. A few dissenting voices remain. Billy Dodds was one of them on Tuesday night. Using his BBC co-commentary gig to broadcast to the nation, Billy repeatedly told us that Levein was the "right man for the job, he's just not had the results." That's not the strongest defence: "Aye, the doctor's a good bloke but his patients keep dying." In moments of introspection even Levein might reflect that the game really is a bogey when Silly Bodds is the main witness for the defence. Some others argue that changing the manager will change nothing. A limp reason that, conceding our crapness, accepting that we really should be bottom of a qualifying group. I also believe that this squad is stronger than results suggest. Not world beaters. But better than two points from four games or three wins in 12 competitive matches. When that happens the buck stops in the dugout. The SFA board will meet in the next few days to discuss what happens next. Can we expect decisive action? Or a classic Hampden fudge. I'd still lean towards the latter but it's difficult to see who Levein can call on for support, especially if there is any truth in rumours that the clubs might choose to use Scotland's plight to put pressure on SFA chief executive Stewart Regan. Our next game is a friendly against Luxembourg in November, with Ladbrokes offering 13/8 that Levein will not be manager for that match. It's 11/8 for him to not be manager by the first game of 2013, a February friendly with Estonia. I would still expect him to just about survive through this weekend, limp past Luxembourg before being deposed early in the New Year. That would give the new manager the Estonian game to prepare for the next round of - now sadly redundant - qualifiers. And who will the next manager be? Two former managers are frequently mentioned. Both Walter Smith and Alex McLeish are available, know the job and enjoyed some success. I'm not sure going back is a good idea in football although Smith has shown a willingness to do just that in the past. McLeish (12/1) has already hinted at a willingness to consider a return. I'm always mindful of certain commitment issues he seems to have. He will undoubtedly see a situation that he'd be confident of improving but would he be concerned more by rehabilitating Scotland or his own career? Smith fits almost exactly the age and experience profile that Sir Alex Ferguson argues are the perfect fit for an international manager. 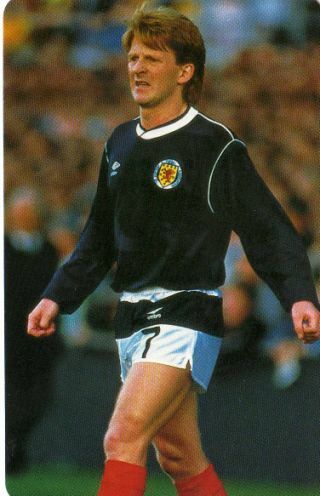 But the Tartan Army is unforgiving about the last time Smith jumped ship and I'm not sure he'd relish the challenge of being the figurehead of not just the national team but of the many changes that the SFA is currently attempting to put in place. Owen Coyle (10/1) is available after a bruising time at Bolton. But Coyle must surely retain ambitions at club level and I can't see much that would push him to the Scotland job at this stage. At 14/1 Joe Jordan would be an emotionally powerful choice but I don't think his record as a manager stands up to much scrutiny even if his involvement as a coach would surely make sense. Ally McCoist is also priced at 14/1 for anyone who likes to chuck money down the toilet. Motherwell's Stuart McCall might be a bit miffed to be outside McCoist at 16/1. Dougie Freedman would be an interesting choice at 12/1 but at the moment I'd think there is about as much chance of Scotland winning Euro 2016. Which brings us to the current favourite. At 3/1 Gordon Strachan leads the field. There's no such thing as a unanimous choice in football but there seems to be a surge of popular opinion in favour of Strachan. He's spoken before about how he sees the role as all encompassing, going beyond simply managing the international team. A decision would need to be made within the SFA about how to accommodate those demands, how Strachan's vision fits with the attempts at modernisation that are already in place. Strachan will also have a personal decision to make. Is the life of the travelling pundit worth foregoing for the pressures of being Scotland manager? There will be an emotional pull, the draw of a fresh challenge. But there are negatives to this job, stresses involved in carrying the weight of often unrealistic expectation. It looks to me like he is the man for the job. But will he decide that this is the job for Gordon Strachan? Scotland's road to Rio. A dismal football journey. We got about as far as the five year old who runs away from home and sits down under the whirligig on the back green to wait for the bus. The five year old might have shown more sophistication. It's hardly a surprise that we looked so adrift against an impressive Belgium. In the goalless first half an amazing combination of Allan McGregor's excellence, Belgian profligacy and Scottish luck combined to protect our goal. Somehow we could almost have nicked the lead. We wouldn't have deserved it. The second half wore on. Still we hung on at 0-0. Could we dare to dream the impossible dream? No. A rather prosaic opener followed by a moment to savour from a defender. That flattered us. We'd kept the deadlock despite chasing shadows. We were unlikely to hold out. As I wrote yesterday Craig Levein is a manager destined to fail even when all he wants to do is avoid defeat. They were just better than us. Painfully so. We might ask how Belgium have developed such rich talent while Scotland have excelled in nothing more than pedestrianism. A fair question. A conundrum that the SFA have asked Mark Wotte to solve. That will take time. Already he's lost a couple of coaches who fans, as innocently concerned bystanders, might have thought would be his key lieutenants. But we shouldn't prejudge. The Wotte revolution has yet to play out and we can only trust that the people he surrounds himself with, the new and the old, are guided by a great feeling of love for our game. That's for a new generation, the footballing future we all dream of. A vision Craig Levein has bought into. He sees a footballing recovery quickened by the input of the national manager. That's admirable and I've no reason to doubt the strength of his desire to shape our future. But somewhere between our glorious yesterdays (never hugely glorious) and our golden tomorrows (perhaps not hugely golden) we need a footballing present. And Craig Levein can no longer play a part in the here and now of the national team. We're bottom of the group. 12 qualifying games. Three wins. International football is tough. We accept that. We accept that losing in Belgium is a predictable enough fate for Scotland these days. We shouldn't castigate Levein for losing home and away to Spain. But consider this; Lithuania away; Czech Republic away; Czech Republic home; Serbia home; Macedonia home; Wales away. If Scotland were making progress we'd be winning some of these games. Certainly winning more than Liechtenstein (twice) and Lithuania at home. The players we have at our disposal should be getting better results. The manager must take the blame. "Change manager but suffer the same miserable fate, for there's more wrong with our game than Craig Levein," they say. They're right. There is more than Craig Levein wrong with Scottish football. But when a man isn't tired of the mediocrity of Craig Levein's national side, he is tired of Scotland as a football team of any worth. I'm not tired of Scotland. I remember our last five major championship appearances. Craig Levein was tasked with getting us closer to those halcyon days. A decent guy who cares about Scotland, wants us to thrive, wants to contribute to our footballing future. But he's also a failure. And failure can only be rewarded with dismissal. Will the SFA sack Craig Levein? Scotland's next qualifier is in March. Levein still has a lucrative amount of time left on his contract, the apparent support of his players and a determination to go absolutely nowhere. But Scotland are out of the World Cup and the SFA have to sell tickets for a series of pointless competitive games. All of which makes me think that Levein will stumble on until January before a "mutual consent" press release is sent out from Hampden. "Knowledge was divided among the Scots, like bread in a besieged town, to every man a mouthful, to no man a bellyful." Harsh that. But we'll come up with a lot of names and none of us will have the definitive answer. Levein's great lesson might be that having the guts to take the job doesn't necessarily mean being brave enough to do the job justice. In one of the many radio discussions in the aftermath of Scotland's damaging defeat against Wales it was suggested that we usually pull off one big result in each qualifying game. A trip to Belgium to play the group leaders would be that sort of game. It would also chime perfectly with the idea of Scottish football that still just about survives in the popular imagination, of a national team that fails when they're expected to thrive and thrives when they're expected to fail. The experience of recent qualifying campaigns means that idea of Scotland can no longer stand up to scrutiny. Liechtenstein twice, Lithuania, Macedonia, Iceland twice. They are the biggest games we've been winning lately. For the last "big" result we must look back to the qualifiers for Euro 2008 and those two victories over France in 2006 and 2007. Captain Darren Fletcher has that Scotland can "definitely" beat Belgium tonight. And we can, of course we can. In a one off match anything can happen. It's just that there is no evidence that this squad led by this manager is ever going to enjoy that sort of victory. Having built a squad cowed into timidity because of his acceptance of what he sees as our limitations, Levein has little right to expect the players to come roaring out in defiance in a game he needs to win to have any chance of keeping his job. He's written his own script. Now he'll need to sit with the rest of us and see how a team whose weaknesses he's inflated and whose strengths he's nullified fares against an extravagantly talented team which is finally, in this qualifying campaign, getting the results its individual components deserve. Scotland go into this game at 8/1 to win with the hosts at 4/11. You need to plough through eight Belgian players - Christian Benteke, Kevin Mirallas, Ilombe Mboyo, Jelle Vossen, Kevin De Bruyne, Eden Hazard, Moussa Dembele, Dries Mertens - before you find Steven Fletcher and Kenny Miller on the first goalscorer list, the pair of them joined by Nacer Chadli at 9/1. That alone suggests that notions of "keeping it tight" for as long as possible is going to be a hell of an ask. Can we be inspired by those French games? Ride our luck, defend like dervishes, find the inspiration to take and hold a lead? A 1-0 win for Scotland at 16/1? How I'd love that to look like a good bet. But I can't convince myself that it does. We have to hope that Scotland's players will have been stung by Friday night, a sense, however misguided, of injustice and a desire to save the manager they profess to have so much faith in. But that would be to discount the inspiration Belgium can take from the momentum they've built up, home advantage and the scent of blood from a reeling Scotland. A 3-0 Belgium win is priced at 8/1. That's the same as any Scotland win. Depressingly a thumping of that sort looks more likely than even the narrowest of Scottish wins. I can't bring myself to bet against Scotland. So I'll probably plump for 0-0 at 10/1. But I'll do so with the heavy heart of a punter who knows that even when he sets out not to avoid defeat this is a Scotland manager destined to fail. Scotland couldn't hold on to their 2011 title at the Homeless World Cup in Mexico but they did manage to end the tournament on high. Saturday's results had conspired to pitch us against England in Sunday's final match. A play off for 7th place in the Mexico City Trophy might not have been what either side had dreamed of as they trained for the Mexican spotlight. But a clash with the Auld Enemy always sparks the imagination. Yesterday Scotland came out on top with a 9-3 victory. A score with a certain resonance in the history of cross border footballing skirmishes. Redemption can arrive in strange places. I'm sure Frank Haffey is saluting this Scottish team from afar. Homeless World Cup football is an intense sport. Four-a-side on a tight, enclosed pitch. It's fast and it can be furious. That was certainly the case in the final game of this tournament as Chile beat hosts Mexico 8-5 to lift the Homeless World Cup trophy. In front of a huge crowd - watching on from Scotland the attendances at this Homeless World Cup have never failed to amaze - neither side looked prepared to give an inch. But Chile, who saw off my favourites Brazil in the semi finals, seem a side keen to spring a surprise. They clung on as Mexico - buoyed by their win in the Women's Homeless World Cup - got off to a flying start. And they got stronger as the game progressed, edging ahead and holding their lead. Both sides, I'd guess, will have left the pitch knowing they'd been in a hell of game. The referee might have felt the same way. So the trophy and the post-match glee belonged to Chile. But, trite as it sounds, there are few losers over the course of this tournament. The players are experiencing an event few of them could have imagined before they found a communal purpose through football. The Homeless World Cup itself finds a week long platform to celebrate the work that goes on around the world for the other 51 weeks of the year. The work I keep mentioning, the work that uses football to change the lives of the forgotten, the marginalised, the ignored and the stigmatised. "There are one hundred million homeless people in the world today and one homeless person is one too many. "Football has the power to transforms lives and the best result this week was not on the pitch, but how the players took the next step to move forward in their lives and inspire other homeless people to do the same." Maybe watching a game online, reading this blog or visiting the tournament website will have led someone to change their opinion of homeless people somewhere in the world. I do know that almost every player in Mexico will already have changed their lives. Most of them will take more positive steps in the weeks, month and years ahead. Thousands more like them will be on the same journey. Not all of them can make the trip to the Homeless World Cup. But each of them will feel the benefit of the tournament's global stage. But there's still more to do. More lives that can be changed by nothing more complicated than this daft, frustrating, simple, infuriating game. The penultimate day of the 2012 Homeless World Cup brought more drama and more mixed fortunes for Scotland. And by the close of play results had conspired to ensure that the final day of the tournament will see an Auld Enemy clash. 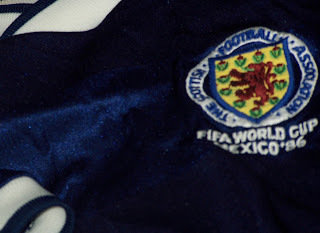 With results in the second group stage sending Scotland into the Mexico City Cup for the final two days, yesterday began with another nerve jangling defeat. This time the opponents were Norway and once again it was to be a defeat in a sudden death penalty shoot-out. The number of Scotland games decided on penalties in 2012 hints at how competitive the tournament has now become. It also shows how fine the margins between winning and losing can be. The 5-5 draw and shoot-out heartbreak meant Scottish hopes of once again returning home with a trophy were dashed. England had similarly faltered, their 7-7 draw with Czech Republic ending in defeat after penalties. That left a final day Scotland v England clash just a game way. England duly dispatched Hungary 6-3 before Scotland met up once again with second round opponents Ukraine. After a penalty win on Thursday Scotland were more commanding this time, running our 9-5 winners. So the stage was set. Scotland v England in Mexico City on the final day of the Homeless World Cup as they play off for 5th place in the Mexico City Cup. I've been tipping Brazil to challenge for the Homeless World Cup trophy all week but they fell at the semi final stage in an engrossing - if not brutal - penalties defeat against Chile. Hosts Mexico came through an equally bruising encounter with Indonesia, winning 9-6 to give themselves a great chance of winning their home Homeless World Cup. Elsewhere Ireland lost to both Haiti and South Africa and will play Poland today for 7th place in the The Fundación Telmex Cup. Wales fared better with wins against the Philippines and Argentina setting up a De la Calle a la Cancha Cup final against Peru. Mexico's women matched the men to reach the final of the Women's Homeless World Cup where they'll face Brazil. Scotland captain Mark Stack explain what playing in the Homeless World Cup means to him and how the work of Street Soccer Scotland helped him overcome his addiction and rebuild his confidence.